Teaching Position: Professor of History at Cornell University and, in 2006-07, Leverhulme Professor at the University of Nottingham and Mellon Senior Research Fellow at Clare College, University of Cambridge. Major Publications: Logevall has published numerous books and articles on U.S. foreign policy in the Cold War era, including Choosing War: The Lost Chance for Peace and the Escalation of War in Vietnam (1999) and The Origins of the Vietnam War (2001). 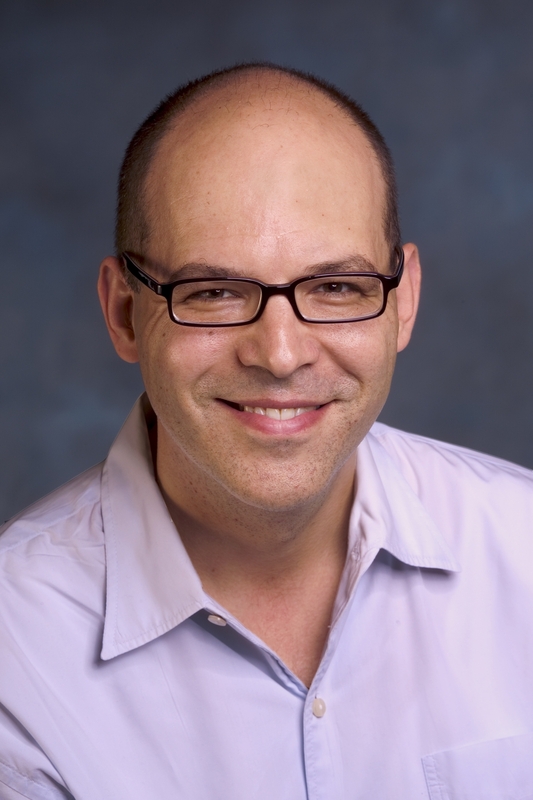 He is also the editor of Terrorism And 9/11: A Reader, (Houghton Mifflin, 2002); and the co-author of A People and A Nation: A History of the United States (7th ed, 2005), co-editor of the Encyclopedia of American Foreign Policy, and co-editor of The First Vietnam War: Colonial Conflict and Cold War Crisis (2007). He is also the co-editor of Nixon in the World: American Foreign Relations, 1969-1977 (with Andrew Preston; Oxford University Press) whih will be published in 2008. 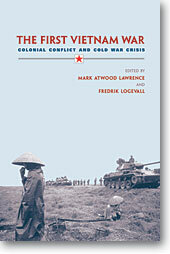 Logevall is currently at work on an international history of the struggle for Indochina after 1940. MacArthur Foundation Dissertation Fellowship, 1991-92. Prior to coming to Cornell, he taught at UC Santa Barbara, where he co-founded the Center for Cold War Studies. One day in the fall of 1989 I was in the library going through back issues of scholarly journals when I came upon an essay by Walter LaFeber, now my colleague at Cornell. LaFeber asserted that an American scholar of either U.S. foreign policy or international relations is hindered by an “occupational hazard.” He or she is supposed to act as an outsider in analyzing the policy or the system but in reality is an inhabitant of, and indeed has grown to intellectual maturity in, a nation that has dominated global affairs in the post-1914 era. LaFeber cited another Cornellian, Carl Becker, who believed that the professor’s obligation is to “think otherwise,” but LaFeber noted that such an obligation can be difficult to fulfill when the scholar is also a citizen of the world’s leading hegemonic power. It is a problem to act as an outsider when one operates at the center of the system. Over the years I continued to think LaFeber’s assertion had merit, and I still think it does, even though I too now live in the center of the system. An outsider perspective can often be an insightful one-though of course there’s no guarantee. At the very least it will be a different perspective, and I have no doubt that my own foreign heritage and upbringing have shaped my research on U.S. foreign relations in significant ways. It has made me interested in comparative questions, in exploring notions of American exceptionalism (in the sense of difference, not superiority). Why, for example, did the Manichean anti-communism permeating much of American political discourse after 1945 have no real counterpart anywhere else in the Western world-including in my native Sweden, one of the most Americanized countries in Europe? (Only in the United States among the Western democracies, Eric Hobsbawm has noted, was the “communist world conspiracy” a serious element in domestic politics.) What was the effect of this difference on foreign policy-making in the U.S. and in Europe, on perceptions of the Soviet threat, on the willingness to enter negotiations with communist adversaries? Likewise, my interest in the Vietnam War-which has been the focus of much of my scholarly research-grew in part out of that war’s divisive impact on politics in neutral Sweden, a country about as far removed from the scene of the fighting as it was possible to be. 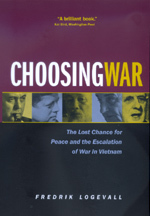 Though too young to have any real memories of the demonstrations and counter-demonstrations in Stockholm and other cities (Sweden was the first Western nation to extend diplomatic recognition to North Vietnam), I developed early on a deep interest in the conflict, and a desire to learn why it happened and whether it could have been avoided. Ultimately, of course, having an outsider perspective does not require being foreign- born or raised. Carl Becker hailed from Waterloo, Iowa, the heart of Middle America. Walter LaFeber, similarly, is the proud son of Walkerton, Indiana. Yet from the start both showed in their work a marvelous capacity to question the received wisdom, to dig deeper, to think otherwise. It’s a standard all of us who love history should strive to meet. 43 | History Editor… Bonnie K. Goodman”?